News TV Channel / A Kurdish news channel that broadcasts to the Middle East, Europe and the U.S. This newly launched channel can be received on NileSat and Hot Bird satellites. Rudaw Media Network is a KDP-affiliated media group in Iraqi Kurdistan. It publishes in Kurdish (Sorani and Kurmanji), English, Arabic and Turkish. Rudaw Media Network also owns a weekly newspaper in the Sorani dialect with a circulation of 3,000, a Kurmanci-language version published in Europe, a website in Kurdish and English and a satellite TV station. The network is funded and supported by Rudaw Company and aims to impart news and information about Kurdistan and the Middle East. 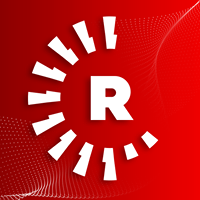 Rudaw Media Network has been banned in Syrian Kurdistan due to its partisan news and alleged smear campaigns against the Kurdish political parties which oppose the Kurdistan Democratic Party, a ruling political party led by the Barzani tribe. The U.S. Department of State has also described Rudaw Media Network as a Kurdistan Democratic Party (KDP) affiliated outlet.